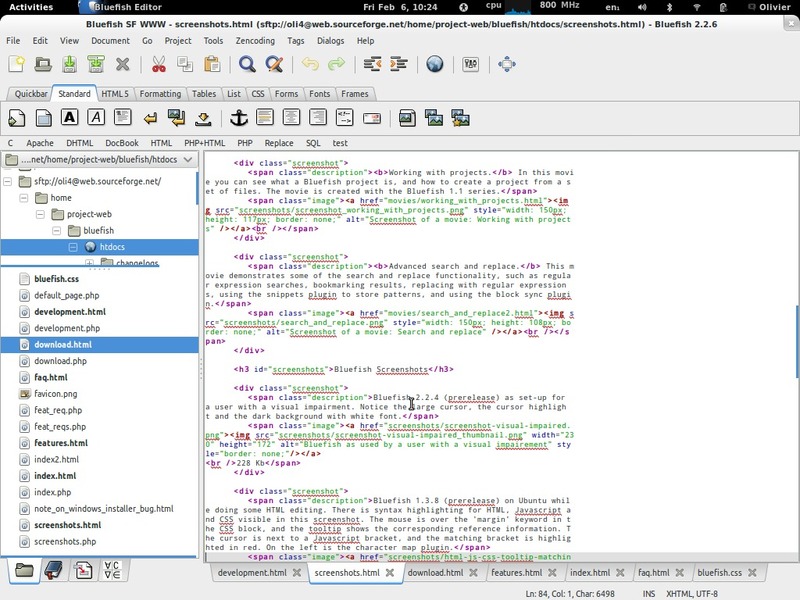 Editor to write websites, scripts and programming code. Is there a better alternative to Bluefish? Is Bluefish really the best app in Editors category? Will Bluefish work good on macOS 10.13.4? Fixed a few serious but rarely occurring bugs. Options defined in the language definition files are now translated. Various default settings have been improved, most notably the command to launch Firefox for preview. The looks on newer gtk versions have been restored. CSS can now be compressed and decompressed. Bluefish needs a rating. Be the first to rate this app and get the discussion started! The installers for Windows and OSX have improvements, and there have been some OSX and Windows specific fixes. Character encoding detection has been improved. Auto-completion for HTML attributes has been improved.